Nowadays, edible CBD oil is becoming a popular treatment for health conditions among cats and dogs. In this article, you’ll find out what edible CBD oil for cats and dogs is, conditions that benefit from taking it, and how to give it to your pets. CBD is actually a compound found in the herb cannabis. However, CBD doesn’t produce a high feeling. Currently, there’s lots of studies going on regarding the use of cannabis for anxiety, epilepsy, neurological disorders, and others on humans. 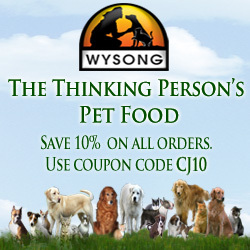 The same benefits can be seen in cats and dogs. So, if you have a dog or cat, you might be interested to learn what CBD can do for your four-legged friend. What is CBD? Where is it from? With medical marijuana gaining great interest in the healthcare community, many consumers are seeking cannabis oil, or CBD oil. This oil is a concentrated liquid extract from the marijuana plant (Cannabis sativa). The cannabis plant produces various types of substances and compounds, but the most popular one belongs to the cannabinoid class. The two most known among consumers are CBD (cannabidiol) and THC (tetrahydrocannabinol). While THC is the psychoactive compound in marijuana, CBD doesn’t get you high and provides great benefits to your health. Because the United States Drug Enforcement Agency (DEA) doesn’t prohibit CBD, CBD products are legally sold and more socially acceptable. What are the health benefits of CBD for cats and dogs? CBD possesses pain-relieving and anti-inflammatory properties, which help fight the symptoms and causes of a lot of common health conditions. Substances found in CBD also strengthens the immune system. CBD helps kill cancer cells that you certainly don’t want in your dog’s body. What is the recommended CBD dose for dogs and cats? Make sure to read the instructions on the right dosage to give before anything else. Dosages vary depending on the size of your feline or canine. According to veterinarians, the recommended dose is approximately 0.2 to 0.5 mg per kilogram of your cat or dog. It’s also better to start with lower doses to see the effect on your cat or dog. For example, if your cat is 10 kilograms, you can only give your cat 2 milligrams. That’s 0.2 milligrams per kilogram. Ideally, you may increase dosage for your cat or dog to 0.3 mg or 0.4 mg per kilogram after one to two weeks if your cat or dog reacts well to the CBD oil. CBD doesn’t work overnight, so make sure to observe your cat to see the results. You may add CBD oil to your dog or cat’s diet through capsules, topicals, and dog treats. Check out trustedcbdoil.com for sale if you want to head on the right away and get your canine and feline friends some edible CBD oil. Are there any kinds of side effects you should know about? What happens if my dog or cat intake too much CBD oil? As for side effects, there shouldn’t be any. Given appropriate doses, your cat or dog should be fine. According to studies, CBD is safe even if, by chance, it was taken in high doses. CBD oil is a healthy oil for your dog or cat. 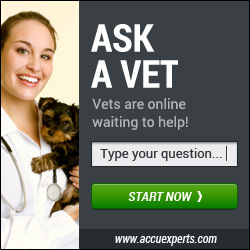 In addition, more and more vets are recommending this treatment for your pets. Knowing the side effects are mild or close to zero, pet owners are getting drawn to choosing this treatment. With this, CBD looks very promising. In case your feline or canine reacts badly to CBD oil, which is not likely, you might want to check this out with your local veterinarian. Benefits of CBD for your cats and dogs are quite incredible as you can see. Another bonus point to CBD oils is that it’s completely natural and organic. As much as CBD has helped out humans and their health, your dog or cat can also reap the same health benefits. Hope this article was able to give light to the health benefits and curing properties of CBD oil edible for your furry friends. Can I Give My Dogs Xanax?